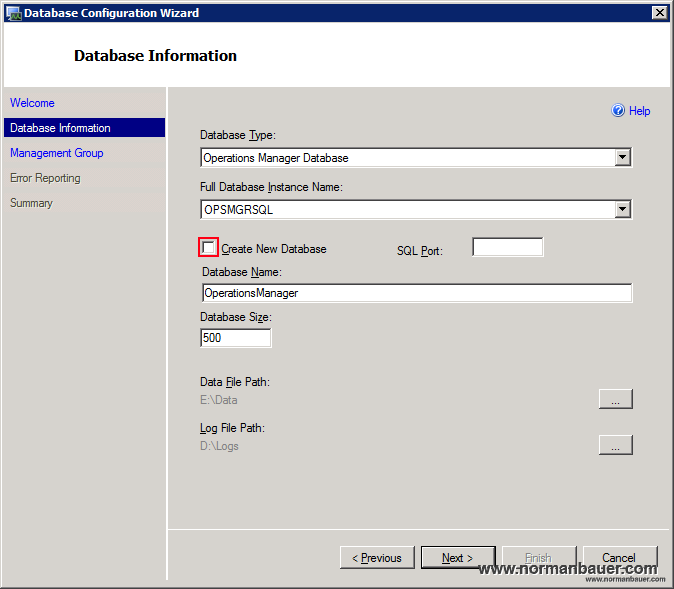 I just needed to move the System Center Operations Manager 2007 Database from one SQL server to another. I followed Kevin Holman’s instructions step by step and ran into the same problem he was noticing after the move. Error 777971002, severity 16, state 1 was raised, but no message with that error number was found in sys.messages. If error is larger than 50000, make sure the user-defined message is added using sp_addmessage. This will take a few minutes. After that the problem should be fixed. Will there be data loss?? suppose if the DB is already functional n we happen to you the above method. Will it not reset the tables too? Even if I did not experience any problems or data loss I would always recommend taking a backup and being prepared for such events. What I think happens is that the wizard will only recreate any missing parts. I am getting the same error in SCOM 2012 R2 server. As we don’t have DBCreateWizard support tool, what will be the option here?